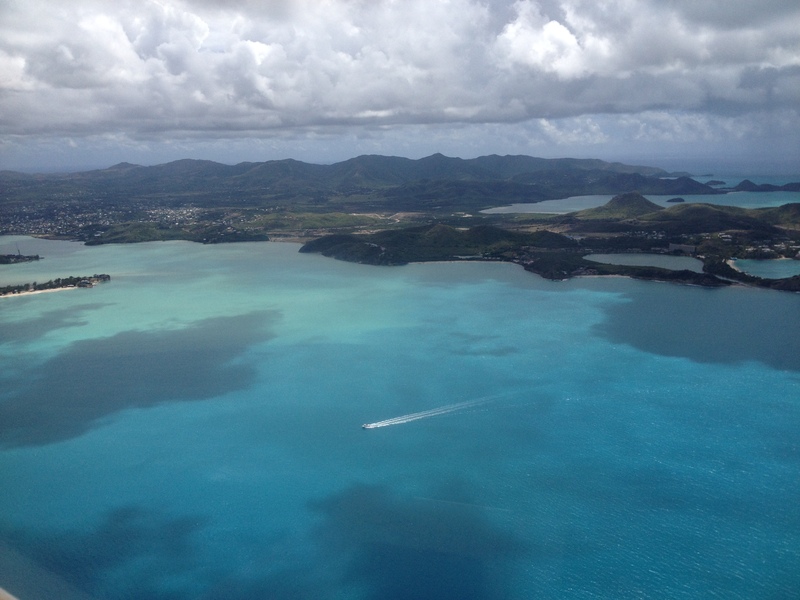 There is something very special about visiting a small island, and from the moment you cross the water in a tiny plane from Antigua, Nevis has woven its magic. 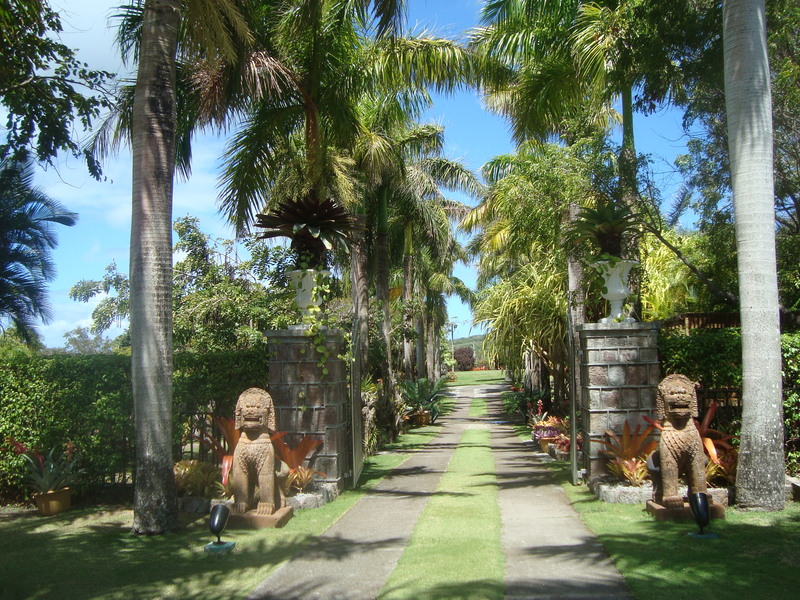 The tiny island of Nevis, little sister to St. Kitts, is suited to travellers who enjoy raw nature, as well as to those who seek quiet, peace, and tranquillity, the primary reasons people return. Nevis has a heritage trail and iconic plantation ruins, and other activities on the island are the best of a traditional British seaside experience. Offering far more than beautiful sugar-sand beaches and a large array of water activities, there are also unexpected on-trend gourmet restaurants, and a fascinating history with a strong Jewish component. After being expelled from Brazil in the 17th century, Jews began to settle on St. Kitts and Nevis. At its height, the Jewish community constituted around 25 per cent of the total population. The mostly Sephardi Jews brought to the island the secrets of crystallizing sugar, making Nevis the “Queen of the Caribbées”, because of the wealth brought in by the sugar trade. History reveals itself gently in the many sugar plantations dotted throughout the 93 sq.-km. island (which has a population of 12,000), and in the 17th-century Jewish synagogue and cemetery. The community erected a synagogue in the city of Charlestown in Nevis around 1684 and established a cemetery located on Government Road containing graves dating from 1679 to 1768. There are 19 surviving markers in the cemetery, which bear inscriptions in Hebrew, English and Portuguese. At the end of the 18th century, most of the Jewish population left the island, leaving the cemetery abandoned. Today, it is the focus of a major archeological effort. 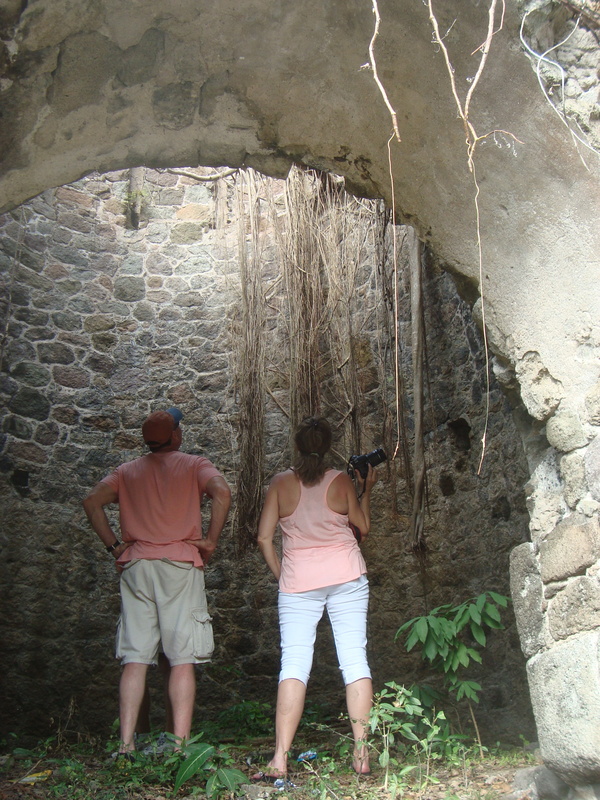 If you have archeological instincts, there is a lot to explore, including numerous ruins of plantations, ancient Amerindian sites, and a recently discovered slave village. On a guided tour of the slave village with replicas of houses the slaves would have lived in, I asked our guide, Patricia, about the horrible conditions her predecessors lived in. I sensed she had said this many times over, but it appeased my churning emotions enough to be able to finish the tour. We spent an afternoon in a 4×4 on a tour on coastal paths and off-the-beaten- track roads, with stop-offs at abandoned sugar plantations and churches. Some of the roads were steep enough that they made me gasp. As the island is divided into five parishes, all named after saints, the tour helped with a general overview of the different parishes. A great way to get a unique fun and educational view around the island: http://www.funkymonkey- tours.com. 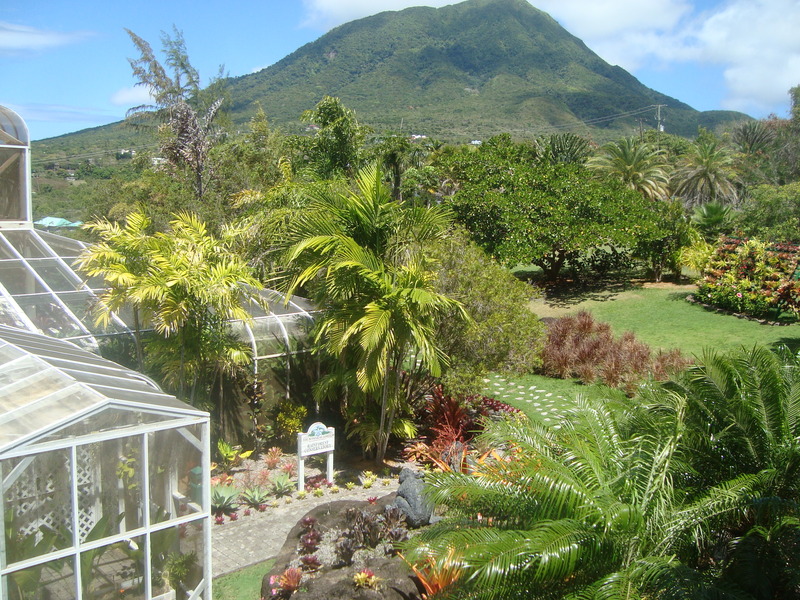 Situated in the Montpelier Estates over- looking Mount Nevis and the ocean with a spectacular view of the Nevis mountain peak, the privately owned Nevis Botanical Gardens are a must see. It takes an hour or more to fully explore the orchid terraces, lily ponds, bamboo grove, cactus garden and over 100 species of palms, all built to complement the natural fea- tures and beauty of the land. Bronze fountains and sculptures were installed, and, along with a striking, triple copper sugar cauldron fountain, they highlight the natural beauty. Nevis, the Queen of the Caribbean, is small, beautiful, and blissfully serene, which is why travellers find themselves under its spell. Where to stay: There are several choices for places to stay on the island, and repeat guests to the historical Nisbet Plantation beach resort return for many reasons – the appealing small size with 36 bright yellow cottages that are beautifully appointed in subtle tropical hues lend- ing a feeling of simple luxury. A stunning beach and location and the calm tranquillity combined with a simple ele- gance make for a winning combination. Fabulous food and afternoon teas with an ocean view are delightful additions. General manager Alistair Forrest hosts cocktail gatherings every Monday evening for returning guests of which there are plenty. Guests who stay five nights or more get a free water taxi from St. Kitts. The six-minute ride makes it a seamless transition to the property. Pinney’s Beach off the main road is a must for a visit to Sunshine’s for the Killer Bee Cocktail. Everyone knows owner Llewelyn Caines as Sunshine, and famous celebrities seek him out. Barbra Streisand has enjoyed the meals and casual vibe of Sunshines. There’s an ex- tensive menu, but visitors go for the laid- back energy and a chance to chat to Sun- shine, a charming personable character. Dustin Hoffman, Michael Douglas and Katherine Zeta-Jones also have visited in recent years. How to get to Nevis: we flew Westjet from Toronto directly into Antigua, a four- hour flight, then caught a connecting flight on Air Montserrat into Nevis. Not for the faint of heart, this tiny plane is so small, we were weighed along with our hand luggage to insure our suitability for the journey. What would happen if I weighed 300 pounds, I asked the ground stewardess? “We wouldn’t take your luggage”she quipped. Other options: Air Canada flies directly to St. Kitts from Toronto. Nisbet Planta- tion resort would arrange a water taxi to pick you up and deliver you to the resort in six minutes. Melody is a freelance writer because she believes that work and fun should not be mutually exclusive. She writes about travel, food, lifestyle and green living. Melody loves staying in a place long enough to get acquainted. Local customs, markets and traditional cultures are magnets for this writer. When not writing she’s either on the road, in the air, or savoring something tasty. Most of her travels feature outdoor adventures of some sort, although she typically avoids sleeping on the ground. She is an ordinary person that enjoys challenging and pushing herself, facing fears with an eye on experiential travel. She needs to do it, feel it and see it so she can write about it. Her hope is that her stories encourage readers to get out there and do the same. This entry was posted in Recent Trips and tagged Bananas Bistro, Botanical Gardens, Montpelier Estate, Nevis, Nisbet Plantation Resort, Westjet. Bookmark the permalink. I was so hoping to go to Nevis this winter but it looks like it will have to wait until next year. Sounds amazing! Sounds like paradise on a cold winter day. it was a gorgeous place and one I would definitely return to sometime.